Editor, Sanford Lakoff, recipient of the UCSD Emeriti Association's 2008 Dickson Award, the 2018 University of California Constantine Panunzio Award, and the 2018 UC San Diego Revelle Medal. Assembled below are a collection of prior issues of the Chronicles, for your reading pleasure. The Chronicles are made available to you in PDF format. You will need the Adobe Acrobat Reader to view these documents. Professor Sanford Lakoff is Research Professor Emeritus of Political Science at the University of California, San Diego. He has taught at UCSD since 1974, when he was appointed Founding Chair of the Department of Political Science. Professor Lakoff has written or edited twelve books and published approximately 50 scholarly articles as well as contributing to entries in the Dictionary of the History of Ideas, the Encyclopedia of Democracy, the Encyclopedia of U.S. Foreign Relations, and the Encyclopedia of Nationalism. He received a B.A. degree from Brandeis University in 1953. In 1959, he received his Ph.D. from Harvard University. 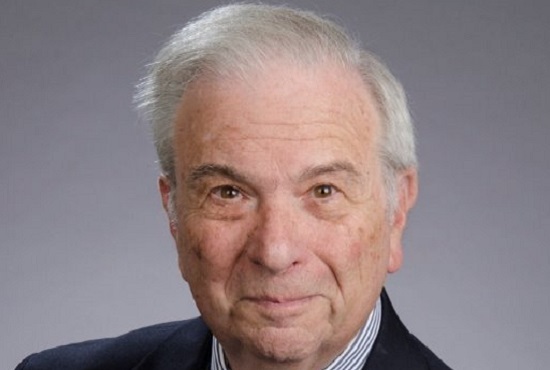 Professor Emeritus Editor, Chronicles, UCSD Emeriti Association, Recipient of the 2008 Dickson Award, of the 2018 (UC-wide) Constantine Panunzio Award, and of the 2018 Revelle Medal.